Illustration for Tengbom's presence at Möbelmässan 2017. 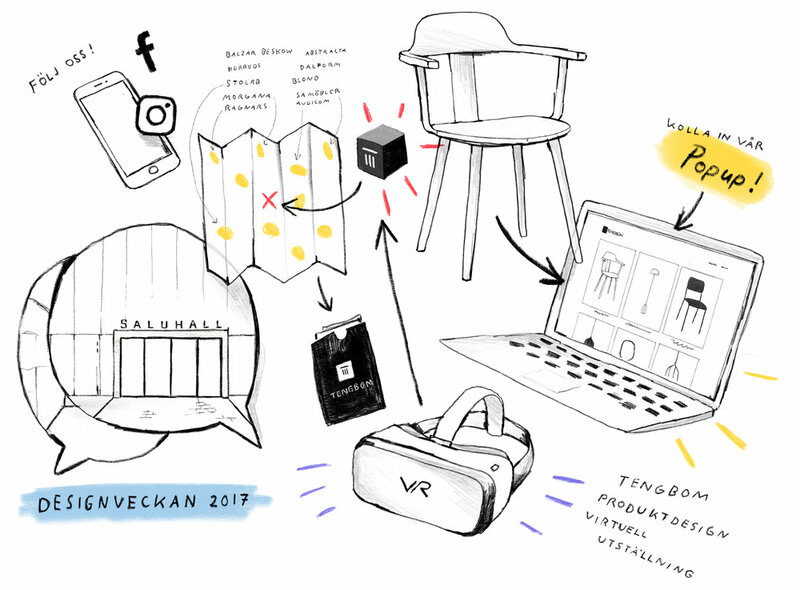 At the fair we showcased products designed by our product design studio in virtual reality, and we launched a online pop up store for the products. Don’t hesitate, it’s just an email. We’ll answer with words and moving pictures.